The dominance that Anthony Beauregard brought to the Stingers this season has earned him a contract with a professional team. What makes it even more special for Beauregard himself is that it is with his hometown Montreal Canadiens organization. “It’s unreal,” said Beauregard with a hint of disbelief. Even as he prepares for his first game with the Canadiens’ American Hockey League affiliate the Laval Rocket tonight, he seems to still be taking in the momentous occasion. Right now, Beauregard’s contract means he needs to impress the Rocket’s coaching and front office staff in order to earn himself a full time contract for next season. It’s been a whirlwind past month for Beauregard. 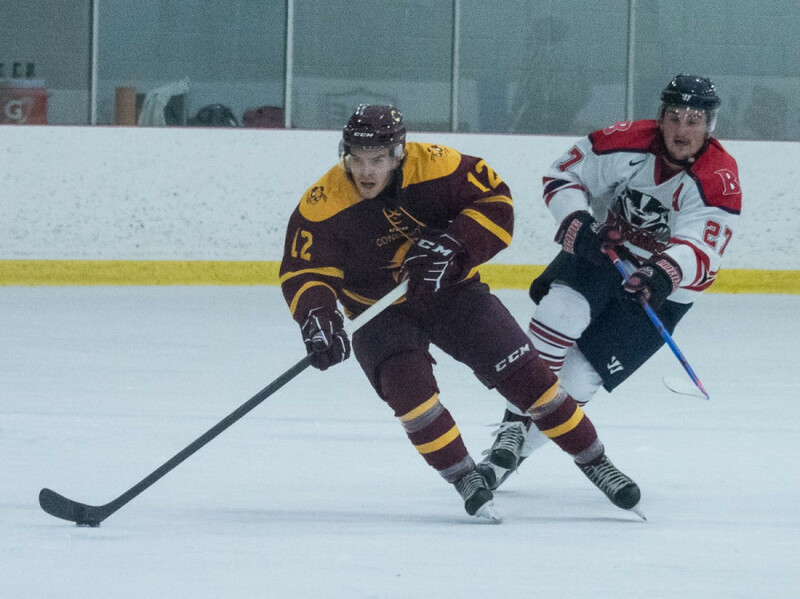 As his award-winning regular season came to an end, the St. Damase native found himself in three hard fought rounds of the Ontario University Athletics playoffs, and eventually at the national championships for Concordia’s first chance at the University Cup in over three decades. Related: Stingers Women’s Hockey Team Wins Bronze Medal at Nationals. While all this was happening, Beauregard knew he had contract offers coming at him and that a decision had to be made. Just days after his team’s defeat at the hands of the University of New Brunswick Varsity Reds, Beauregard had himself an amateur tryout contract and a new challenge after an impressive, but exhausting season. The quick turnaround didn’t bother Beauregard who has already met his new team and taken part in practices ahead of his first game. “It’s good for me, I didn’t lose my form. It was fast but it’s what’s best for me,” explained Beauregard who will trade in his usual number 12 jersey for 36 with the Rocket. If it keeps Beauregard on the roll he was on this season, then it’s not a bad idea. In 28 games, the OUA East MVP notched 19 goals and 60 points. No other player in the nation had more than 46 points through the season and only one player surpassed Beauregard’s goal totals. Add to this the fact that Beauregard was as stifling defensively as he was dangerous offensively, and it’s easy to see why he was named U Sports’ most outstanding player and named to the first all star team. Beauregard was consistently relied on by his team as a penalty killer and trusted to hold onto leads late in the game. Standing at just 5’7, Beauregard brought more than just a historic rate of production to his team this year. His intensity and ability to break a game open was something that his Stingers teammates always appreciated. “Aside from just stats, Beauregard is an exceptional player. I’m happy someone in the professional leagues saw something in him,” Said Stingers captain Philippe Hudon. While Beauregard’s U Sports leading 41 assists will be missed, there’s nothing but pride and happiness from his teammates when it comes to seeing the centre’s success. “I’m absolutely happy for him […] he deserves his chance and I think he’s gonna make something out of it,” noted Hudon, who spent the last part of the season as well as the playoffs playing on a line with Beauregard. Beauregard’s coach echoed that sentiment, explaining how beneficial Beauregard living out his dream is for the team, as well as the player. 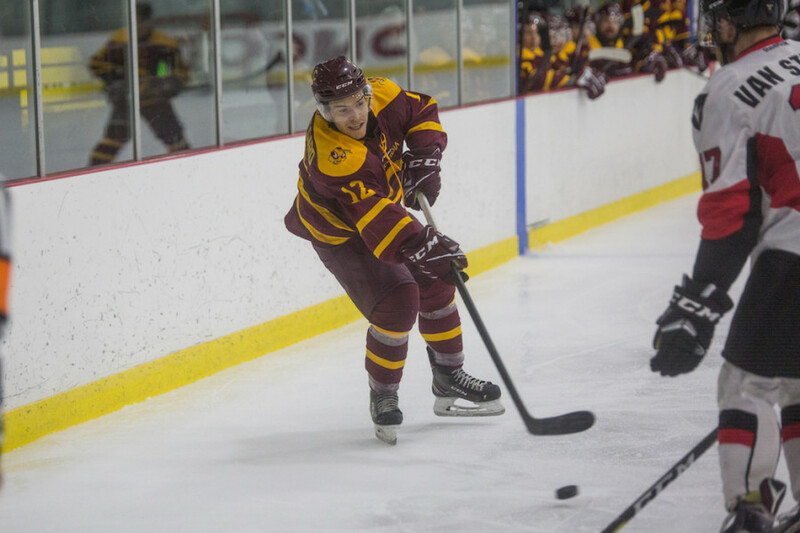 Related: Stingers Men’s Hockey Forward Massimo Carozza Talks Rookie Season. That next level is one that Beauregard has been dreaming of since he was a child. The fact that he is getting the chance to live it out with a team from the Canadiens organization adds an extra layer of excitement for Beauregard. For a young man who grew up watching the Montreal Canadiens, playing in the organization is not something to be taken lightly. The young playmaker knows how special it will be to lace up his skates with Laval. “I’ve watched every [Canadiens] game since I was young. It’s a surprise, it’s the Montreal Canadiens […] To get to play in front of your family and friends, I think it’s going to be fun the rest of the year.” said Beauregard. But along with the opportunity to prove himself the AHL offers, the league has plenty of new challenges for the country’s MVP. The AHL is one notch below the National Hockey League. Players are skilled, smart, and hungry to earn a spot in the big leagues. It’s a league known for hard hitting and taking a heavy physical toll. Beauregard knows that it’s going to be an adjustment but says that after the season he had, he’s ready for a new level of challenge and isn’t afraid to take on something new. Hudon is confident in Beauregard’s pro potential, brushing off any worry about his former linemate’s size being a problem. “Who cares what other people think about his size, there’s big boys in our league too […] Beauregard found a way to put the puck in the net in our league and I think he will in the American league too” said the Stingers captain.